Madonna is treating fans to a new album later this year. It will be the pop legend's 14th studio album, her most recent being Rebel Heart which was released in March 2015. Madonna has now assured fans they won't have to wait long for her new material. "I've just met lots of really amazing musicians, and I've ended up working with a lot of these musicians on my new record, so Lisbon has influenced my music and my work," she told Vogue Italia, noting the importance of her move to Portugal. "How could it not? I don't see how I could have gone through that year without being informed by all this input of culture." The singer, who turns 60 later this month, went on to confirm that her latest recordings "will be collected in an album that will be released by the end of the year". Madonna teased fresh music back in May when she posted an arty image of herself under the words 'Beautiful Game' to Instagram, captioned: "That I never learned………….Coming Soon! #music #magic #mirwais." Many fans took this to mean French music star Mirwais was acting as producer. He previously worked with the star on her albums Music, American Life and Confessions on a Dance Floor. 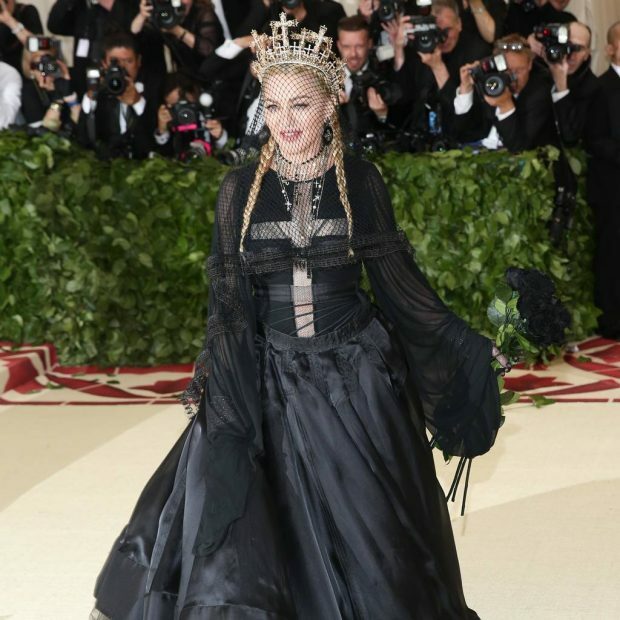 Though Madonna hasn't disclosed which guest musicians will feature on the record, some have speculated that Ariana Grande may be following the likes of Nicki Minaj, Justin Timberlake and Pharrell Williams as the superstar's latest collaborator. Posting to Twitter earlier last month, Ariana shared a photo of herself with the Like a Virgin icon captioned: "thank you @madonna … u know why." Fans noted that the 25-year-old added an emoji of the Golden Gate Bridge, which she's previously used when talking about new music.